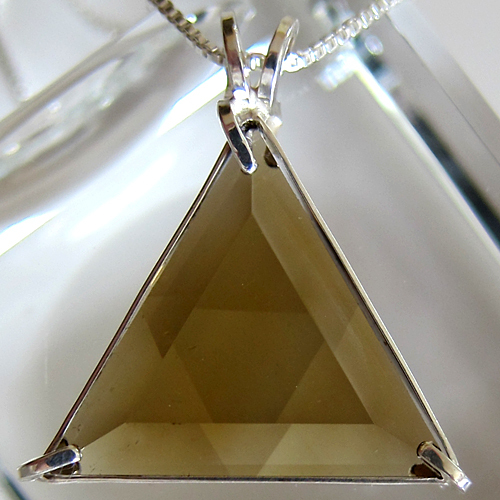 This beautiful water clear Vogel cut Citrine Star of David crystal pendant exhibits a warm, honey-coloration and is totally natural and untreated Citrine from Brazil. It comes with an 18" sterling silver chain which sits upon the thymus, between the throat & the heart chakras, where it will be of most beneficial resonance. 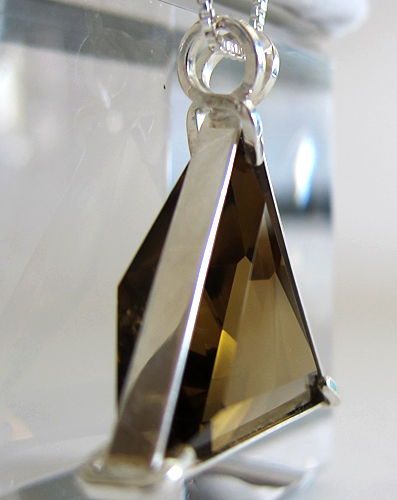 The citrine Star of David pendant is one of the most protective pendants available to Lightworkers, meditators, and all those who wish to strengthen their aura and shield themselves from unwanted interference, negative environmental energies and negative collective thought forms during this turbulent time of cultural transformation. You can do this for yourself and for others. If you choose to use this healing crystal in this way on others, it is recommended that you clean the crystal afterwards. Citrine activates, opens and energizes the third chakra, including the navel and solar plexus, stimulating both the physical body and the mind, increasing endurance and elevating energy levels while promoting emotional balance. Citrine is an excellent stone for clearing the aura of negative emotions. Note: weight above is shipping weight. Net weight is .30 oz. Each piece is unique and may vary slightly in appearance. Each piece is guaranteed to be beautiful and to meet with your complete satisfaction!